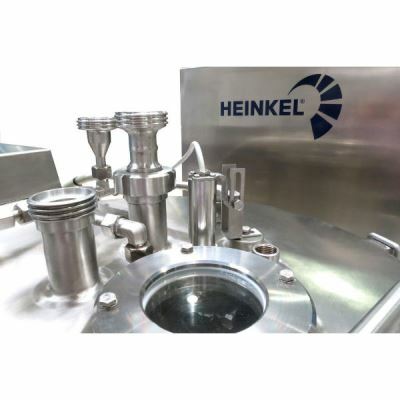 The HEINKEL Pilot Plant Vertical centrifuges are designed for use in the laboratory and pilot plant through the mobile compact design and easy installation. 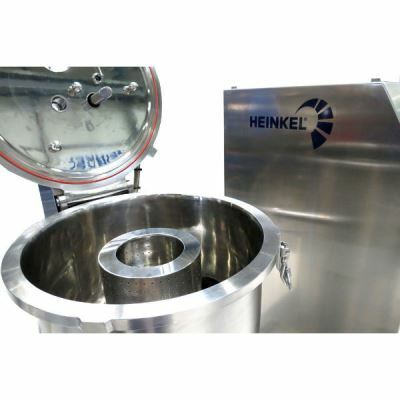 The centrifuge is specially designed for cGMP requirements in the pharmaceutical industry. As soon as the suspension fluid has been centrifuged, the washing the solids in the basket process is started. During this phase the washing fluid is evenly distributed via a suitable washing pipe (nozzle pipe or orifice-type sprayer) throughout the whole height of the basket. 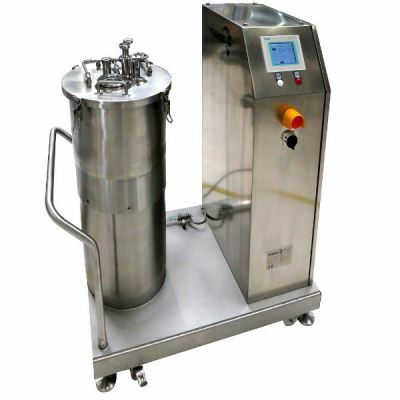 After hydro-extraction, the centrifuge is decelerated until the basket stops, and the lid of the centrifuge is opened. Now the solids can get shoveled out manually.